Situated in the vibrant area of Southwark, these brand new one bedroom serviced London apartments in a smart new development in Southwark is a few minutes walk to London bridge and Southwark. Each apartment offers a bright reception room furnished in a contemporary style with white walls, wooden flooring and contemporary tiled bathroom. Being situated in a building with a concierge ensures privacy and security for all travellers. 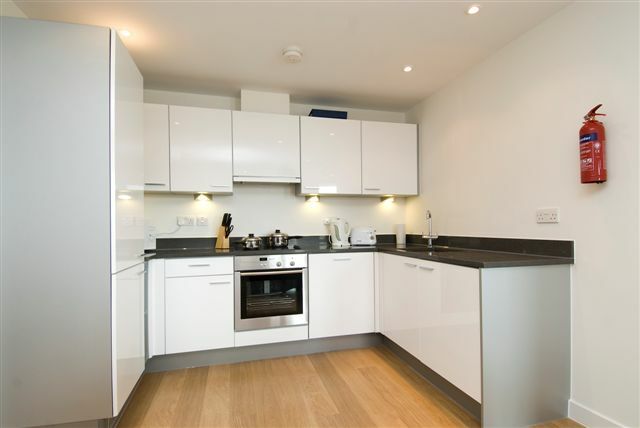 These apartments close by to Shakespeare’s Globe theatre, Tate Modern and Borough Food market. Only 5 minutes walk to Borough station. On the steps of the City and yet a walk away from the River Thames, these serviced apartments are set within the heart of central London. The location is fantastic because you can also take excursions outside London via London Bridge Station. The serviced apartments are within a brand new building set around a magnificent sculptured pavillion and landscaped public square. The area is renowned for its history, art and culture with Tower Bridge, the Tate Modern, Southwark Cathedral and Shakespeare’s Globe Theatre right on its doorstep. Read our blog to keep up to date with London news!